When I think of my chick friends, most of them aren’t snobby about drinking beer. Maybe it’s because we were all raised in a blue collar town (or attended school at West by god Virginia). We were basically born to like football and tailgate with the guys. Well some breweries are now marketing beer towards women with some girly names and packaging. 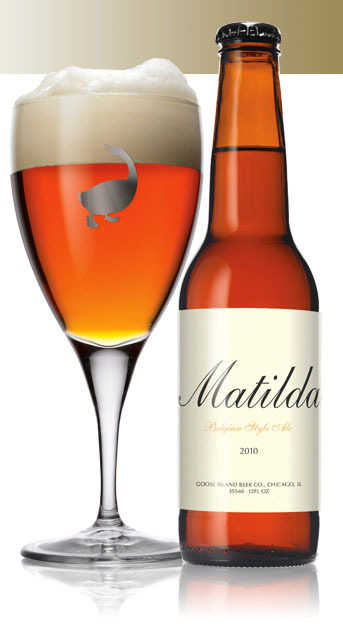 One of the first girly beers that I spotted was Matilda from Goose Island. While the name sounds a bit more vintage than contemporary, Matilda is described as “Wild in character, with a slightly fruity aroma and a spicy yeast flavor that is as unique as it is satisfying.” The brewer’s notes go on to say it’s an intriguing choice for beer and wine lovers. I’m a big fan of Goose Island’s 312 – a tribute to the Chicago area code, so I’ve been trying to locate this beer. However, finding this brew may be a bit of a challenge. Last I checked, it was only available in the Midwest. Last week I spotted this uncreatively named brew called Chick Beer via the Refinery 29 newsletter. Is this offensive to sip? 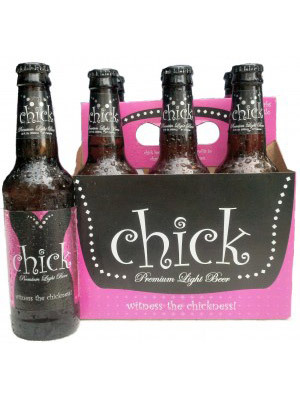 I mean I guess it’s okay for a girls’ night (or Chicks’ Night Out – pun intended), but it would be kind of embarrassing to have your man drinking some “Chick.” While Chick is under 100 calories a bottle, it’s only 4.2% alcohol by volume. If you are checking your beverages, typically wine is between 9-14, so may need to chug a few of these before you get a buzz. Oh and note the purse packaging and the LBD on the bottle!